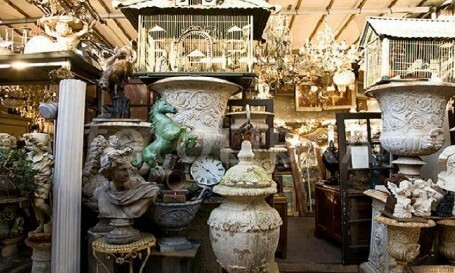 The “Paris Flea Market” is the largest Antiques Market in the world – with 15 markets and 2,500 shops. Trends change quickly, and goods move fast. Ostrich feathers, old lace, collector books, estate jewelry, and trinkets and knick-knacks, are all at the Paris Flea Market. As are 1960’s vintage designer clothes, refined 1600’s furniture and religious art dating back 800 years. On this tour, your guide finds out what you want to see and do, and creates an itinerary centered around your interests. Your guide waits for you in our conspicuous pink vest outside the metro station, a short distance from the flea market. Are you a stroller or a shopper? Your guide inquires about your personal interests and designs an itinerary accordingly. You receive a map of the different markets, for you to situate yourself as you move along. Your guide will also signal stores likely to carry items such as you’re looking for. You visit several markets. You learn about the 150-year history of the Paris flea market (some say it is an 800-year history). There’s eclectic Vernaison, and there’s high-end Biron. There’s hip Serpette and cozy Dauphine, and there’s street-wise Malik. There’s poor man’s Jules Vallès, and there’s over-the-top l’Entrepot. It all depends what your group wants to see and do. Your guide shares insights on how to shop – and how to bargain. How to tell an authentic from a copy. How to negotiate. And what you might be able to negotiate – besides prices. During your tour, we may introduce you to some art dealers. They know your guide, so they are more friendly and forthcoming. You will learn what it’s like to work as an antiques dealer. The tour ends in the heart of the Serpette market, next to the eateries. The guide gives orientations to each guest – what to visit, where to eat, how to shop. One guest catches the bus back to Notre Dame. The guide walks other guests back to the metro. Most linger on at the market for an afternoon of shopping. insider’s tips: how do you sniff bargains? And how do you negotiate effectively, Paris style? We run the Paris flea market insider’s tour on market days – Saturday and Sunday, rain or shine. In English. Tour starts on time at 10.45am on Saturday and Sunday, and last a relaxed 90 minutes. To find that estate brooch, or those French chandeliers. To learn how to bargain better. Or simply for the sheer fun of exploring that colorful market. 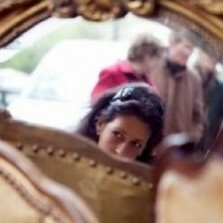 The Paris Flea Market Insider’s Tour is €30/adult (or US$31), discounted to €20 for kids 18 and under. Children under 7 visit for free. Are you visiting with a group of friends, or shopping for specific items? Then you might enjoy retaining a private guide. From €125, depending on group size and tour duration. We meet outside metro station porte de Clignancourt (line 4) at street level outside the McDonald’s.